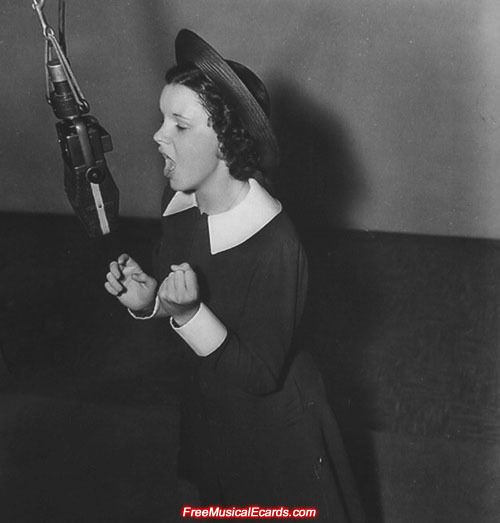 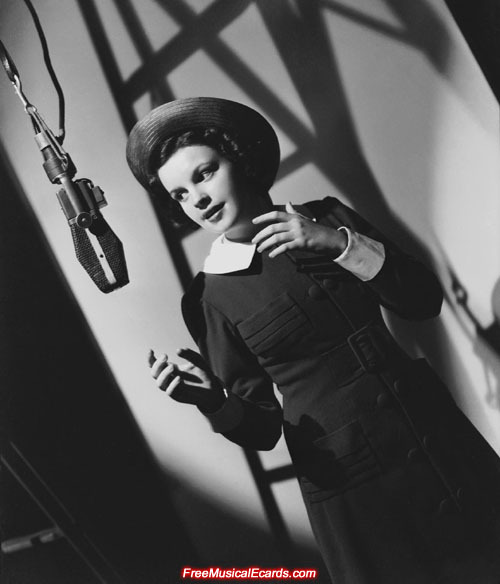 Photos of Judy Garland pre-recording "Everybody Sing" in 1937 for the musical film "Broadway Melody of 1938", which was released in 1938. 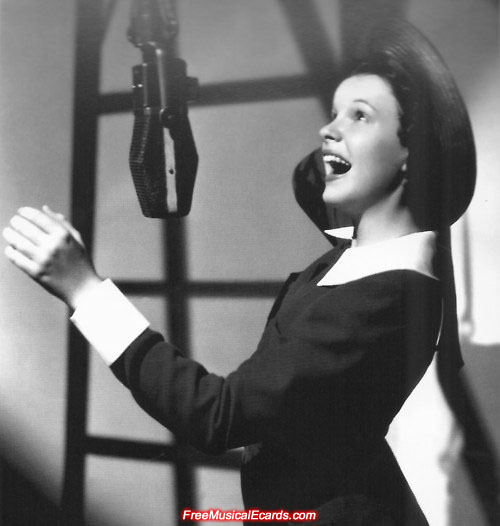 Her singing voice is incredible, an absolutely beautiful and flawless singing voice and you'll know what we mean after you listen to it. 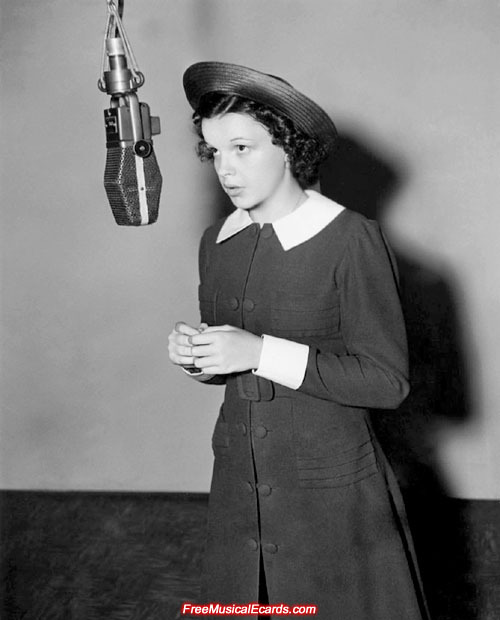 She was only a 15 year old child at the time, but sang like an adult, if not better than any adult singer in those days. 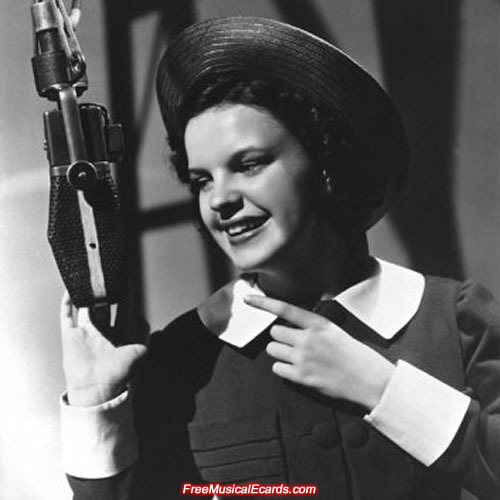 There's no denying that Judy Garland is a very talented and gifted singer indeed, and MGM must have been delighted to have a superstar of the calibre of Judy Garland at their disposal. 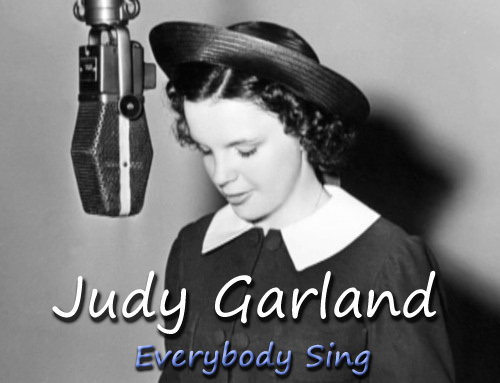 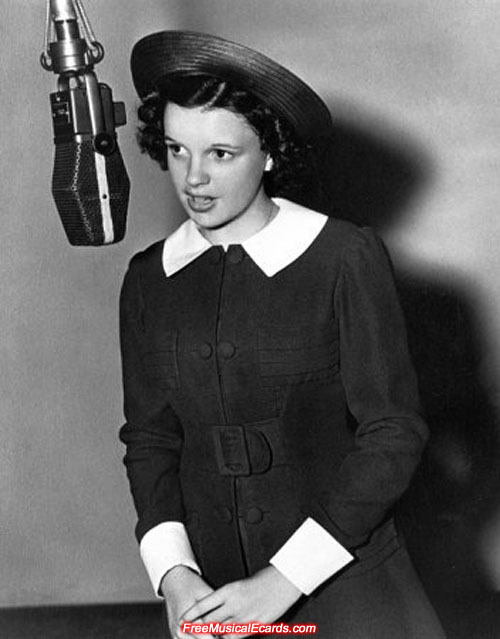 "Everybody Sing" by 15 year old Judy Garland.